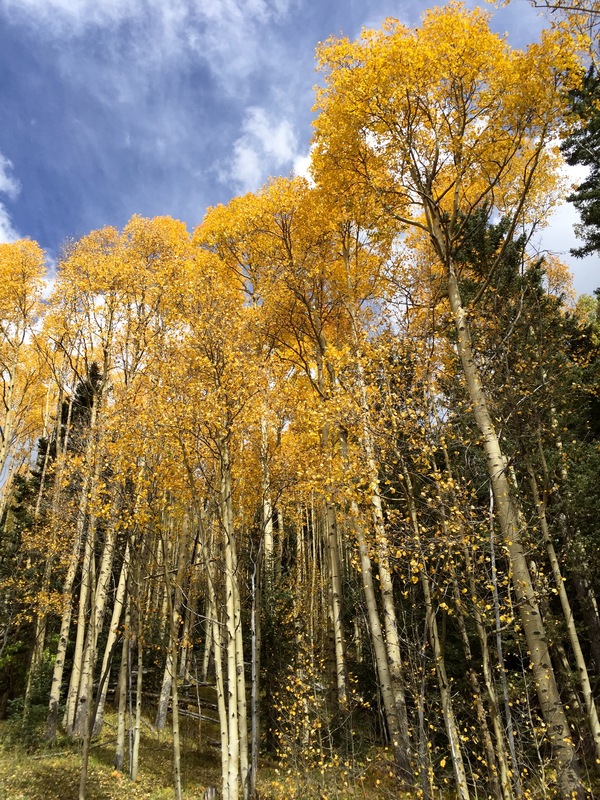 The most significant spectacle of New Mexico’s high country is when the quaking aspens turn a vibrant shade of gold. 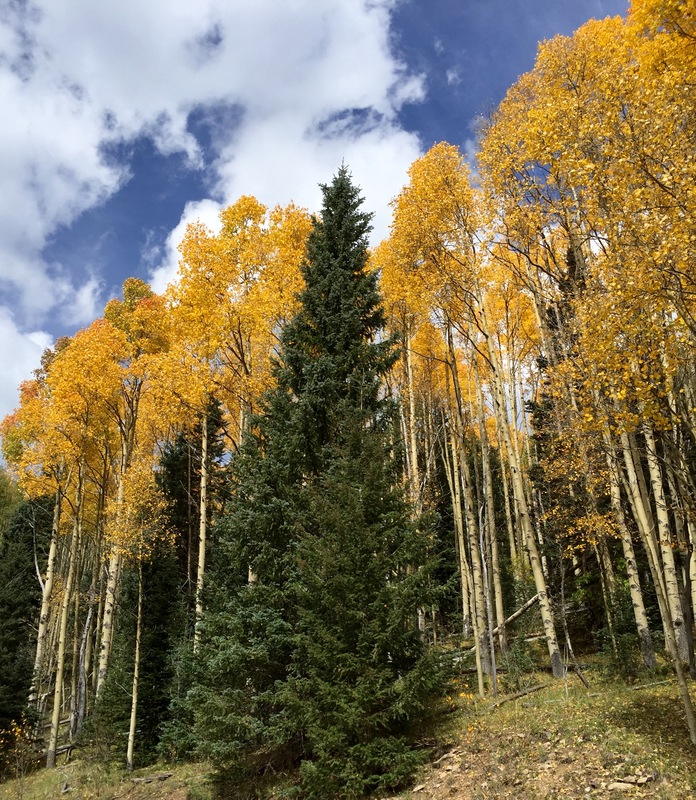 The quaking aspen’s name refers to the leaves which tremble in the slightest breeze. But there are no Scottie’s in the scenery?! Although the trees are beautiful–2 Scottie’s romping in the countryside would have enhanced any view!!! Got some vino for your Mama, bringing it in April. And I thought they quaked because they were afraid of me. Glorious! We love the Fall. We are always amazed at the beauty of nature. Fall is our favorite time of the year. Thank you for the gorgeous Aspen pictures! Mum grew up near there and visited Santa Fe often. 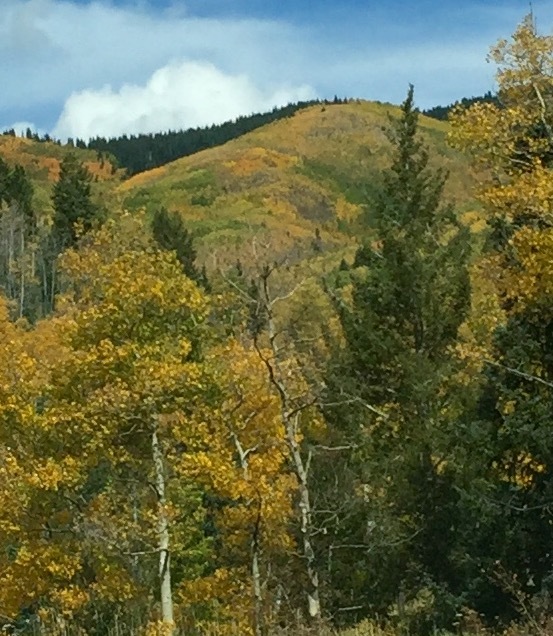 Ruidoso, NM is pretty too–or used to be-haven’t been there in a long time. We hate that we don’t have Fall or Any other seasons but HOT in Southern CA–esp in this long term drought, so your beautiful pictures are a welcome site! We’re happy you’re having such great adventures,Indy and Lucy! We have not been there but have thought about it. Florida is a flat and boring state. It is great to see elevations and beautiful trees. A Scottie or two would have been nice. The roads are narrow with no shoulder. We had to look from our car seats. We nominated you for the Blogger Recognition Award..